*Advanced Diver or higher Certification Required for this Dive if doing by shore. Experienced divers, x1 single ‘one-way’ dive only. 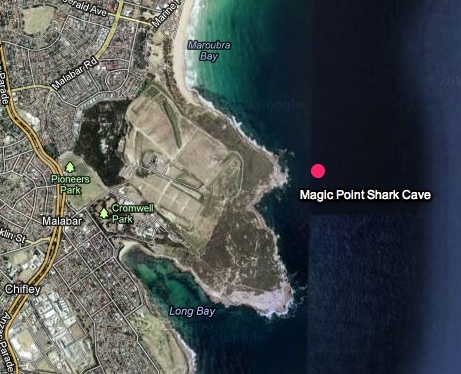 Located in the most northern portion of long bay, in view of Maroubra beach, you’ll find Magic Point, one of the best dives in Sydney! This dive is mostly done by boat and can be exposed to conditions and swells. Shore diving this location is possible but only for the most avid (and fit) divers, as the nearest gear up point is 500 meters away over semi-rocky terrain if doing it by shore, though there is a pretty direct pathway. 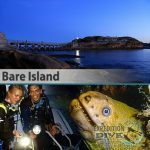 Hence is why most will dive by boat, in which Expedition Dive Picks up from Botany Bay or from Long Bay to accommodate shorter boat trips. The best things for divers to see on this dive, is grey nurse sharks of course! This dive is considered a grey nurse breeding ground and 5-10 nurse sharks located in about 15-18 meters in a cavern are usually seen on most days. 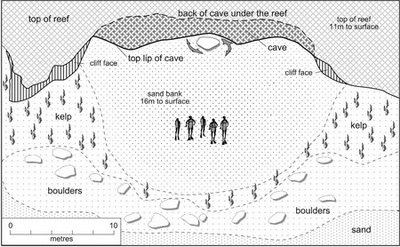 When arriving down on the cavern the best way to approach the sharks and to respect their spaces is by kneeling down on the sand at a respectable distance. Just follow your Expedition Dive Guide! 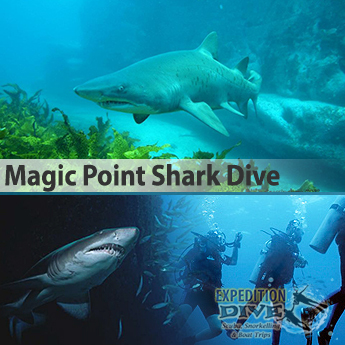 Magic Point is a critical shark habitat area for the beautiful Grey Nurse Shark. There are many critical shark habitat areas declared in NSW waters with associated regulations to control fishing. Grey nurse sharks are not considered to be dangerous to humans. They are a passive species with teeth designed for capturing prey such as fish, squid and crustaceans. The docile grey nurse shark has been speared and fished to the point of extinction throughout Australia. Grey nurse sharks were first listed as a protected fish in NSW in November 1984 in response to concerns over declining populations; it was the first time a shark species had been listed as protected anywhere in the world. In April 2000, the NSW Government upgraded the status of grey nurse sharks to endangered. 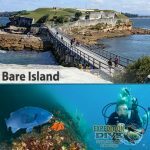 This dive is mostly done by boat, only because there is about a 500 meters walk between gear up point at Maroubra beach and the dive site. Its definitely worth it, but only fit divers able to handle the weight of the tank for such a distance are advised to try this dive by shore. The pathway is off the beaten track and there is a rock ladder to climb down. Thus only 1 dive is done, if doing by shore because of the additional distance.